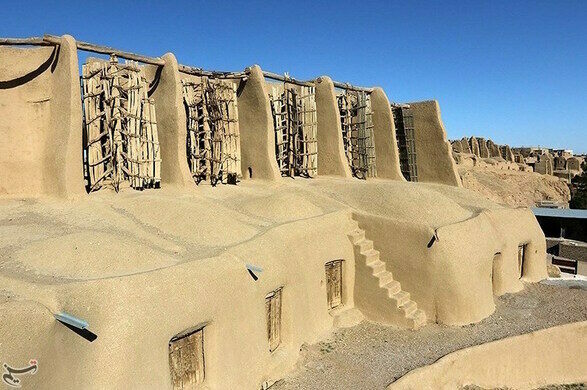 Located on the arid and windswept plains of northeastern Iran, 30 miles from the Afghan border, the small village of Nashtifan is keeping ancient traditions alive amid the winds of change. 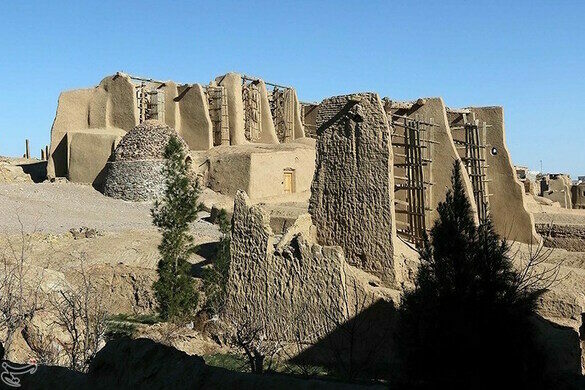 The town is home to some of the earliest windmills in the world, and the structures are still in use today. 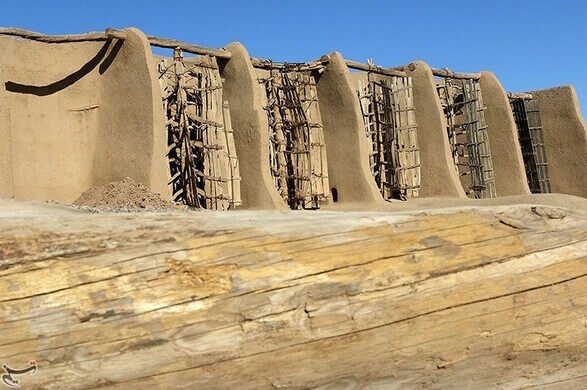 Along the southern edge of town, a towering 65-foot-tall earthen wall shelters residents from the abrasive gales. 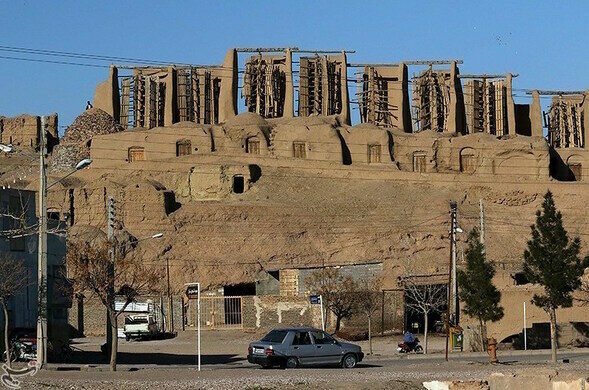 The high wall houses two dozen mostly functional vertical axis windmills that date back to ancient Persian times. 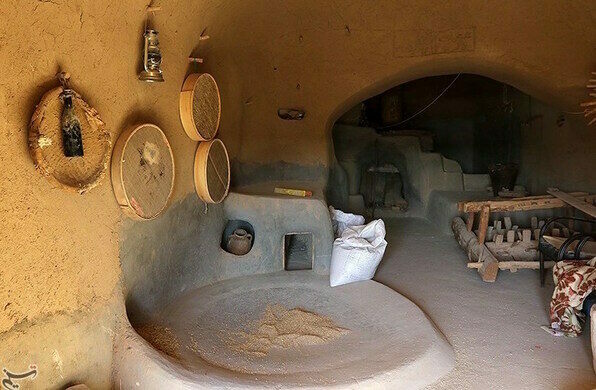 It’s estimated the structures, made of clay, straw, and wood, are around 1,000 years old, used for milling grain into flour. The area is known for its uniquely powerful winds, and in fact the name Nashtifan is derived from words that translate to “storm’s sting.” During turbulent winter months the handcrafted wooden blades whirl with a surprising velocity and power grindstones in a marvel of engineering and passive ventilation. 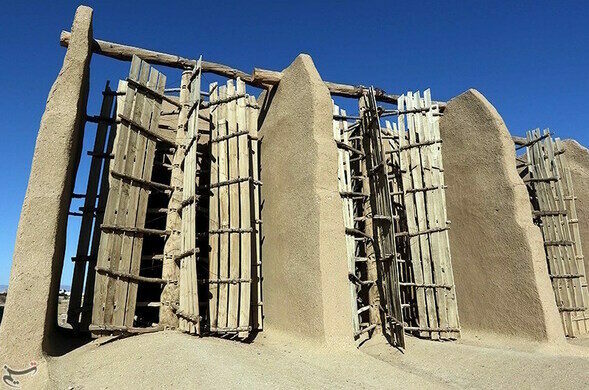 With periodic repairs to turbines, these well-built earthen structures could go on for centuries so long as there are caretakers willing to maintain them. The tall walls framing the windmills both support the turbines, and funnel the airflow like the elliptical throat in a primitive windtunnel. 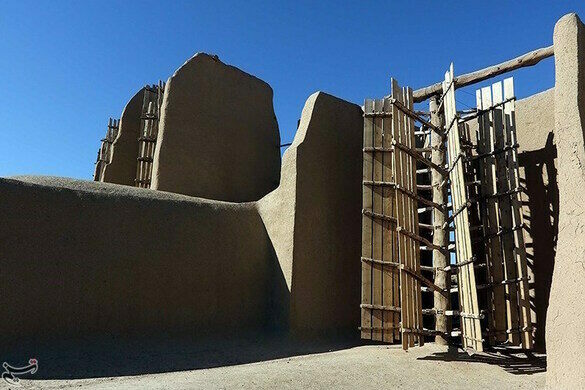 Unlike European Don Quixote-style windmills, the Persian design is powered by drag as opposed to lift. 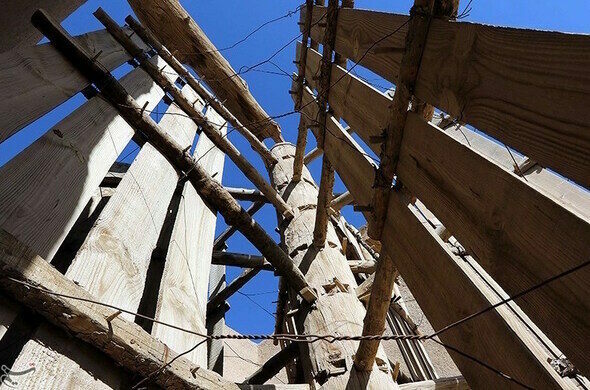 And since the blades are arrayed on a vertical axis, energy is translated down the mast to the grindstone without the need for any of the intermediary gears found on horizontal axis windmills.